Used as material of epoxy curing agent, flexurane eyeglass material; UV hardening monomer; increase adhesion of metal surface; used in line of structural adhesive, UV protective coating,etc. 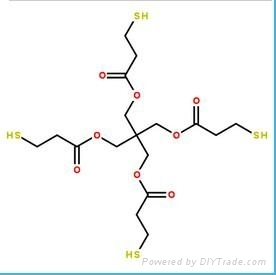 For intermediates of organic synthesis，used for UV curable coatings, inks, adhesives and other polymerization reaction of modified agent, cross-linking agent, acidic ion exchange catalyst, low temperature curing agent. Packaging: Plastic drums，250kg or 30kg net weight. 6 months from date of delivery at a maximum storage temperature of 30℃. Keep it away from skin, eyes and oral cavity. If it happens, rinse with plenty of water immediately.